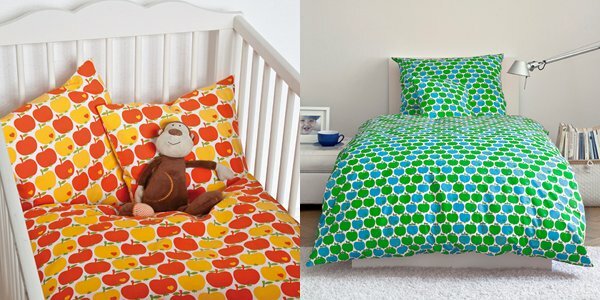 Update – By Graziela Apple print bed linen returns! 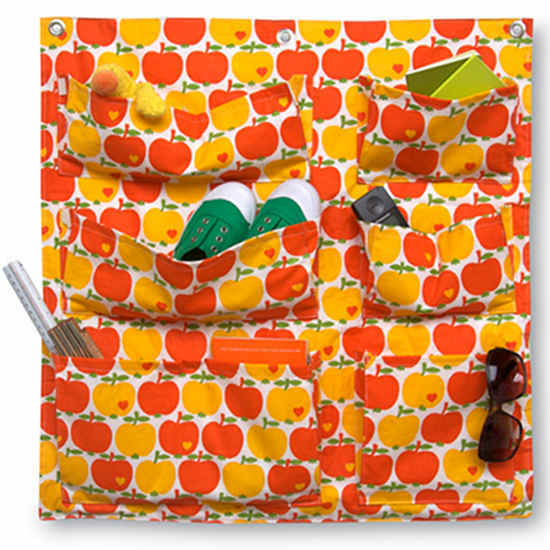 It’s love at first sight for me – those orange and yellow apples are just too delicious for me to resist! Yep, that bedding has gone straight to the top of my Wishlist and we just know you’ll love it too. It’s a re-release of a By Graziela design from the 1970s and with the recent revival of the apple as a key design element in the home, it’s high time this print saw the light of day again. 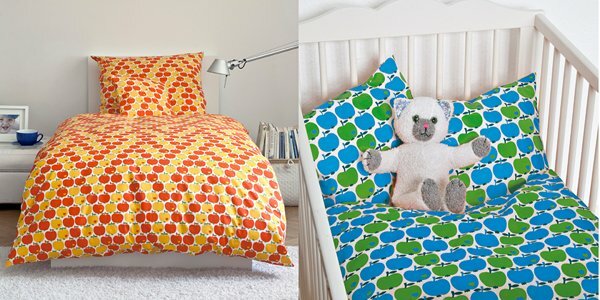 In your choice of cot or single size and either red/yellow or blue/green, this bedding will be the apple of your eye (sorry, couldn’t resist that one). We last told you about By Graziela in March 2009 and now more prints are emerging from the archives – can’t wait to see what’s next! The cot set is just AUD$65, the single-sized set $82 and the wall organiser $55 plus shippping, from By Graziela.